Finally your glasses are where you need them! 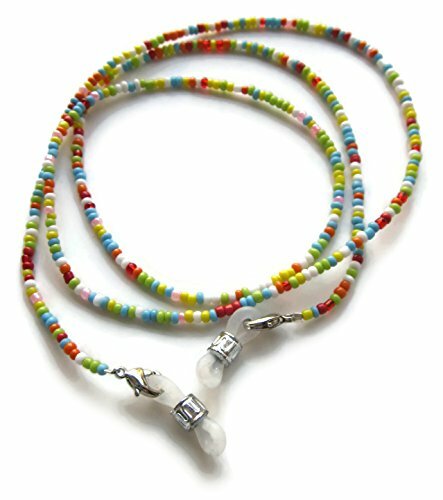 Durable and elegant eyeglass and sunglass holder, made with quality beads held by a sturdy and flexible string. Buy two or more, one for each eyeglasses, spare reading glasses and sunglasses you own, and free yourself from having to find your glasses ever again! Works with all types of eyewear. Great gift for women who use glasses. Buy two in different colors.